The Safco Remedease Full Height Backrest is a simple but high-density chair accessory that provides great comfort while sitting. 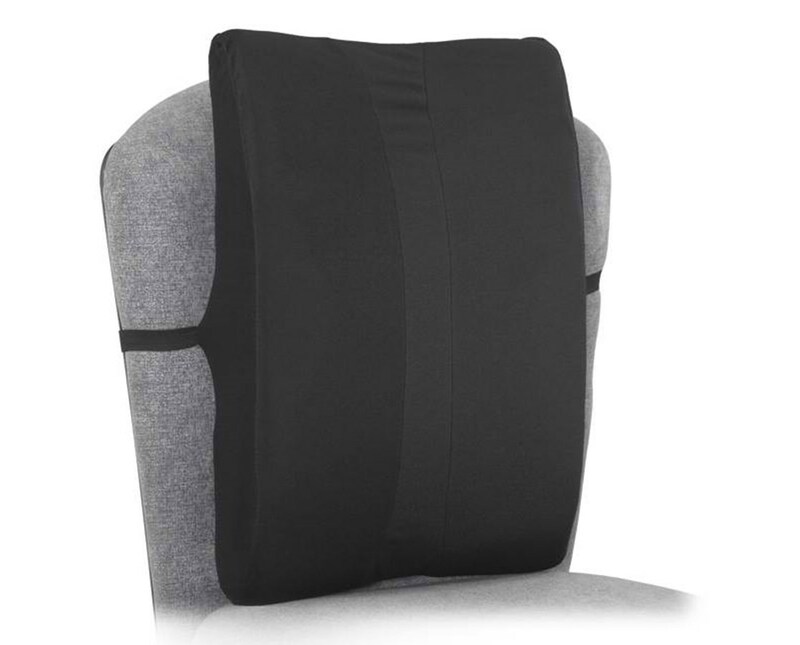 It features an elastic strap that attaches the chair’s back and keeps it in place to effectively help prevent back pain. 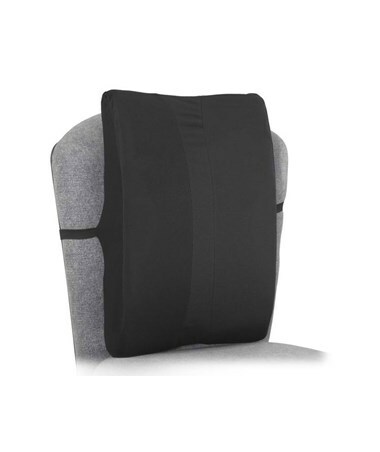 Its soft cushion provides comfort that the back and spine needs. This backrest is made of high-grade foam and is covered by 100 percent polyester velour with a full-sized zipper. This black cover is stain-free, easy to clean, and is machine washable. Five pieces are included in each package.